The suit was the subject of a five-way bidding war throughout Saturday before the winner swept in with their last-minute bid. MixedCandy is well-known for expensive wolves and canines, but this price is more commonly associated with a new custom suit — or rather, two of them. For 7,000 I could have gotten many horses. Your 300 soldiers are no match for me. Where are people getting this money?!?! You may be surprised to know this, but there are many furs out there who are VERY successful. Fox's aren't crazy, they're eccentric. At least, rich foxes. Rich people can get away with a lot. I hope this doesn't lead to a fursuit bubble. 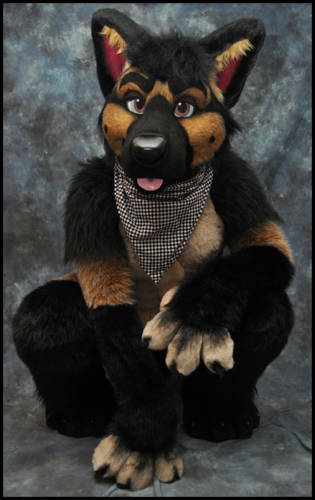 I just want to know if you can invest in fursuit futures on FurBid yet! I hope whoever bought this will be very happy with it! He's a beautie! Worth every penny IMO! That is way too much I make enough to afford but there is no way I would spend 7 grand on a fursuit I paid $1100 for mine from OMG Pineapples about 2yrs ago and they did a fantastic job I am completely satisfied.